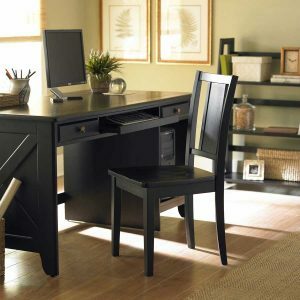 Expertly built and designed, this desk is perfect for working or studying at home. Elegant detail and quality construction bring character to this inspired collection. 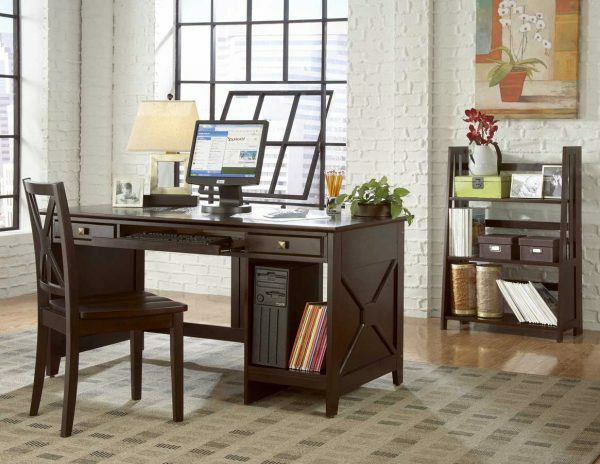 The desk has two working drawers, a keyboard tray, and computer wire holes for easy set up. Matching chairs and bookcase complete this home office offering. 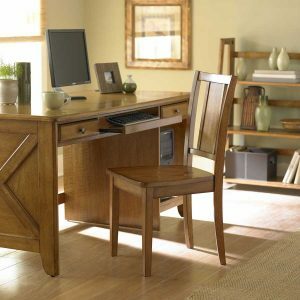 Built with hardwoods in cherry espresso finish.